The Word of the Lord: "The battle lines"
“The battle lines are being drawn in the Spirit. It is time for the women of God to rise up and declare war on the enemy! 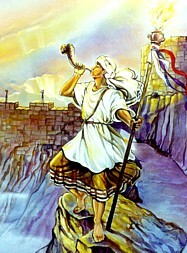 The battle is raging; the winds are blowing fiercely, but My army is rising to the occasion!” says the Lord! “It's an army that won't turn back, that will stand in the face of the enemy and aggressively take back what's been stolen! It's a time when My soldiers are coming forward dressed in battle array! They are wearing garments of white with a two-edged sword in their hand. Bringing light and life even to the nations and setting the captives free! Redeeming the time because the days are evil! For I am returning very soon! What you do you must do quickly! -There is no time to waste-!! Make haste daughters of Zion! Spare nothing! Hold nothing back in this final hour! For my grace is upon you -a special grace-! …For such a time as this! Be strong now. For I am with you! Nothing shall by any means harm you. Take courage now. Run your race and you will see my glory manifested in the earth as never before! Rise up daughters of Zion and take your places in my kingdom! Let your words permeate the atmosphere! Let your prayers rise to My Throne as incense before Me- For it is time now for a mighty healing and restoration to take place in the land! If you will dare to believe Me and believe My words, nothing will be impossible to you! I am coming soon and I long to demonstrate my power among the heathen! So, come before Me with a humble heart and receive what I am offering and imparting to you this hour!” says the Lord; strong and mighty in battle!! The Spirit of the Lord is saying... "The hour is late! It is time to gather the intercessors! I will be launching a prayer initiative and –gathering- of intercessors to change the climate (spiritual atmosphere) over the city of Lakeland”! The prayer focus will be: "Birthing a Book of Acts Revival in the city of Lakeland". All those who are in authority! (I Timothy 2:1-4). The Spirit of Religion/Jezebel to be uprooted and thrown down! (II Timothy 3:5, Philippians 2:9, 10, 11). The establishment of the Kingdom of God in Lakeland (Matthew 6:9-13;.11:12). That God will rise up faithful intercessors as watchmen over this city! (Ezekiel 22:30). Strategic prayer strategies to come forth as we gather together! (Jeremiah 33:3). God's guidance and blessing as we come together "for such a time as this"! Releasing of our faith & joining our hearts & hands together to see revival come to our city...God's city!! Rev. Grace has served faithfully, the Body of Christ and the Kingdom of God through various ministries including: Music/Worship, Jail/Prison Ministry, Missions/Evangelism, Intercession and Prayer! She is a "Revivalist" with a heart for the nations and for "City Transformation" and carries a great love and call to prayer for the nation of Israel! The Lord has instructed her to begin a "House of Prayer For All Nations" and to help raise up an army of intercessors who will "stand in the gap" for the land and become a "Prophetic and Apostolic voice" to this generation and the generations to come! Grace is an ordained minister (Secret Place Associated Network) and she have a bachelor of Theology (Spirit Life School of Theology)Her greatest anointing God has put on her life is a passionate intercessor! She is also a Bible teacher, recording artist, radio host and Assoc. Pastor! She is a member of the USSPN (United States Strategic Prayer Network) and the NGPA (National Governmental Prayer Alliance). A network of intercessors dedicated to strategic-level spiritual warfare under the direction of Cindy Jacobs (Generals of Intercession) and C. Peter Wagner (Wagner Leadership Institute). A word of freedom and power and a spirit of prayer are released as she ministers, birthing revival and bringing spiritual transformation to all who will receive! “The stage is being set up for the greatest revival of the ages and the city of Lakeland (the Church of Lakeland) holds a key to this final outpouring of the glory of God!” … Rev. Grace Warnock. This "Prophetic Revelation" site of "The Battle Line!"